The smallest flame shines brightest against the darkest night. If absolute power breeds absolute corruption, what happens when a multinational corporation with unlimited funds hires on a private military company with unbridled power, especially in a war-torn African nation where any governmental accountability is for sale at only too cheap a price? 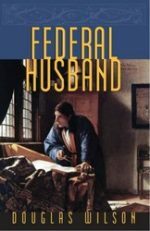 While former Marine lieutenant Robin Duncan is no stranger to corruption or conspiracy, she has always been able to tell the good guys from the bad. 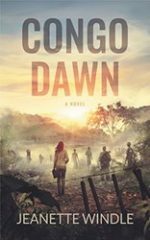 A Brand New Release from Daniel Banner. 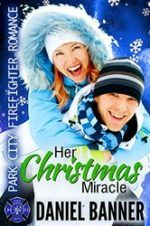 When two Christmas prophecies collide, Jillian and Jak have a chance at true love if their Christmas miracle clock doesn’t expire. Jillian knows by serendipitous fate she’ll meet her true love three times before dating him. 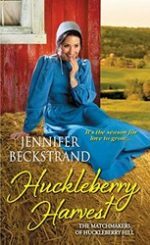 After one encounter with firefighter Jak Finlayson, she can’t wait for more, and is tempted to give up on fate and go find him. The Charles F. Stanley Life Principles Bible delivers Dr. Stanley’s cherished values to benefit every Christian in his or her life’s pursuits. 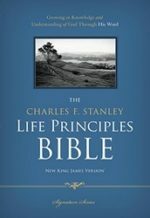 With more than 442,000 in print, The Charles F. Stanley Life Principles Bible communicates the life principles Dr. Stanley has gleaned from the Word through his years of Bible teaching and pastoral ministry. The result is a Bible overflowing with practical articles, notes, and sidebars that help readers understand what the Bible has to say about life’s most important questions. 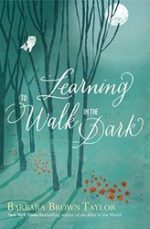 When Mandy Helmuth hears that her best friend Kristina’s heart has been broken, she decides to visit her grandparents and cheer her up. Mandy never liked Noah Mischler anyway, with his rough exterior and outspoken ways. Just one person can save the children from a terrifying future. But to do so, she must master her past. 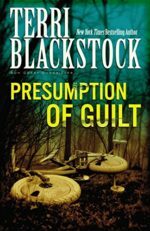 Beth Wright, a newspaper reporter, is hot on the trail of a story that could expose something very ugly at the St. Clair Children’s Home. 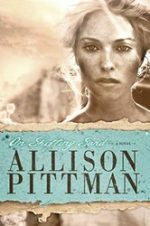 Someone else is hot on Beth Wright’s trail—someone who wants to make sure her story never sees the press. Between them stands Nick Hutchins, a social worker who finds his own gut hunches about the children’s home increasingly confirmed, first by Beth’s investigation . . . then by a high-speed attempt on her life . . . and finally, by an intruder’s startling confession. Sabbath-keeping not only brings physical refreshment, it restores the soul. God commands us to “remember the Sabbath,” but is it realistic in today’s fast-paced culture? 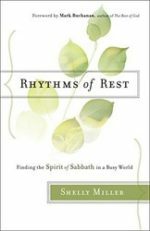 In this warm and helpful book, Shelly Miller dispels legalistic ideas about Sabbath and shows how even busy people can implement a rhythm of rest into their lives–whether for an hour, a morning, or a whole day.